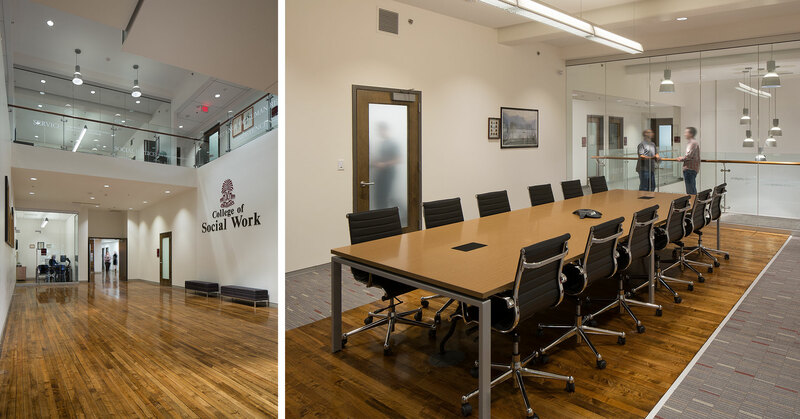 At just over 32,000 square feet and three stories, the Pendleton wing of Hamilton College was renovated to accommodate the growth of the College of Social Work. The building received a new internal structure to transform the high volume of the gym into two levels of faculty offices, classrooms, conference space, computer labs, and support spaces. Faculty offices were interlaced into the existing structural arches and a new stair and elevator were carefully inserted. 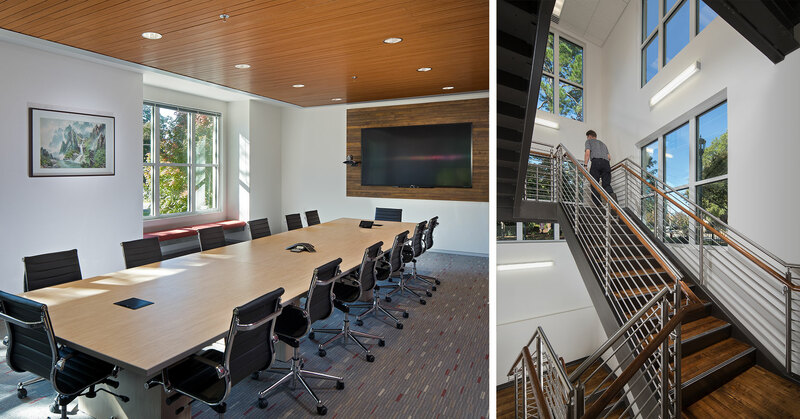 A new addition features conference/board room spaces and connects to a two-story lobby entry. 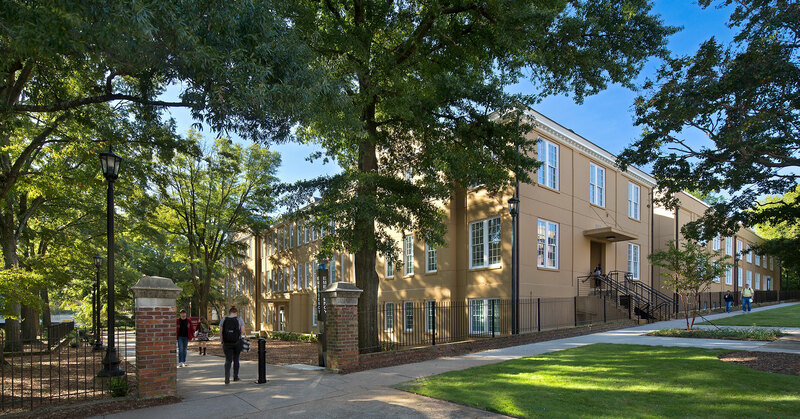 Through effective project management and cost control measures, the renovation and addition to the Pendleton Wing was so successful that the client requested a renovation to Pickens Wing. 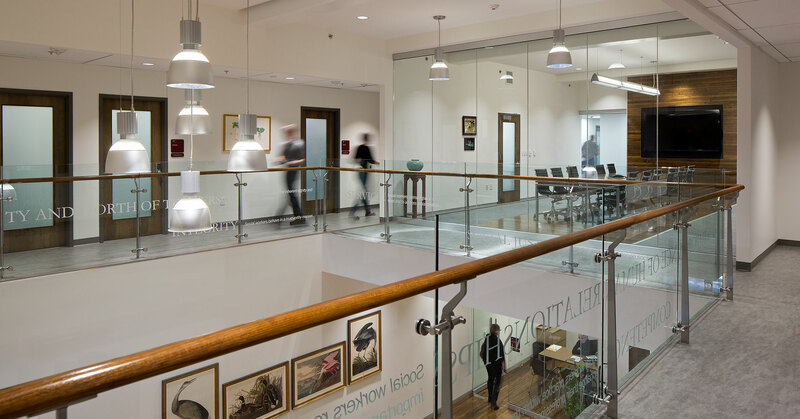 At over 30,000 square feet, Pickens received aesthetic, life safety and mechanical systems upgrades. 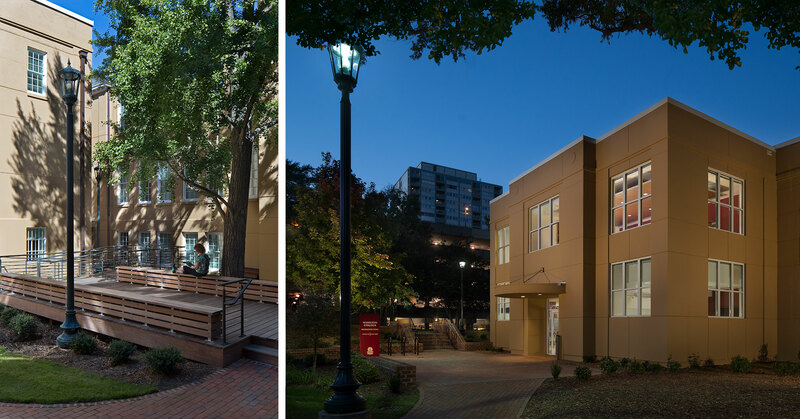 The site was further enhanced and improved with the addition of a courtyard and new entry/walkway for greater access to the Horseshoe and the core of the campus. Originally built in 1941, Hamilton College is a contributing structure to the University of South Carolina’s National Register Historic Horseshoe District.